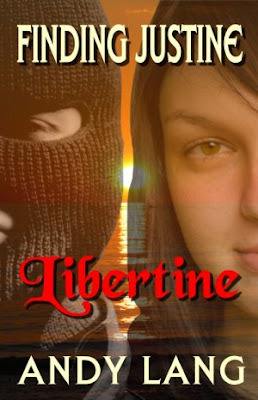 Finding Justine - Libertine is now published (various formats). It has taken a while... but finally published. Justine is available as an epub. pdf or paperback from Lulu today, and will be available on iTunes, Nook, Kindle, Kobo etc very soon. An animal rights activist. A sadistic billionaire - and his beautiful young victim. Adam Hurst felt his reason for existence crumble as all hunting with hounds became outlawed in his beloved Britain. No-longer would his special skills be required. The battle against an ancient barbarity had been won, and he had become redundant, without use or purpose. Yet one target remained, one secretive and sinister man. The titled owner of vast estates who presumed that he lived above the law. Determination driven by frustration fed Adam's new crusade... to expose the Earl of Silverleigh for the monster that he knew him to be. Earl Marcus de Silverleigh, Peer of the Realm, bloodsports enthusiast, and devotee of the infamous sixteenth century libertine Donatien Alphonse Francois de Sade, better know simply as the Marquis. Marcus, a man of unimaginable wealth, and unspeakable depravity, a man driven by the writings of his hero, a man determined to translate the sordid fiction of Justine, his favourite book, into terrifying fact. Theresa. Young, sweet, innocent. The very essence of virtue. Stolen from her home and humble background, her identity erased. A girl desperate for love and release, finding submission as her only hope of survival. A simple girl who becomes the focus of a battle between a tender and gentle man, and a cold, cruel master. Marcus has found his Justine, and her nightmare has only just begun.